Apple has won a class-action lawsuit brought by employees at its California stores, who claimed that they should be compensated for time spent during bag checks for pilferage when they left the store. District Judge William Alsup of the U.S. District Court for the Northern District of California ruled Saturday that the employees had an option not to bring bags to work. “Rather than prohibiting employees from bringing bags and personal Apple devices into the store altogether, Apple took a milder approach to theft prevention and offered its employees the option to bring bags and personal Apple devices into a store subject to the condition that such items must be searched when they leave the store,” he wrote in his order, following summary motions for judgment by both Apple and the employees. 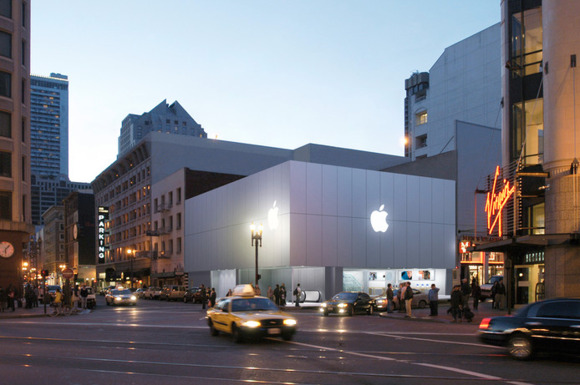 In July, Alsup granted class-action status to the lawsuit brought by former Apple store workers. The lawsuit has been considerably whittled down since employees filed the actions against Apple in 2013. Class-action claims under various states’ labor laws and the federal Fair Labor Standards Act were dismissed after the Supreme Court ruled in another case that the FLSA did not entitle the workers for compensation during mandatory security checks. "Because the other state law claims all mirrored the FLSA, only plaintiffs’ California claims remained," Judge Alsup wrote. The class-action suit covered “current or former hourly-paid and non-exempt employees of Apple Inc. who worked at one or more Apple California retail stores from July 25, 2009 to the present,” according to court records.That worked out to 12,400 current and former employees at 52 stores in the state. The issue in the wage-and-hour class action, first initiated in 2013, was whether the time Apple took to search the bags to check if its goods were being pilfered deserved compensation under California law. In 2012, employees emailed Apple CEO Tim Cook, claiming the checks made them feel like criminals and were carried out in front of “gawking customers,” according to earlier court documents. The employees claimed that the freedom to bring a bag to work was a "standard freedom." Apple argued in a filing last month that "put simply, if a class member voluntarily chooses to bring a duffle bag full of playing cards to work, purely for personal convenience, California law does not require Apple to pay that Class Member if Apple elects to search that duffle bag pursuant to its bag and technology check policies." Concerned about internal theft of its products, Apple had brought into force a written policy called the “Employee Package and Bag Searches” that provided for mandatory searches of employees’ bags, purses, backpacks or briefcases whenever they left the store. The lawyer for the employees could not be immediately contacted. The employees are exploring their options including an appeal, according to reports quoting him.